After the release of the new Star Wars movie “The Force Awakens” and as great Star Wars fans, LightWave artists Alain Rivard & Andrew March show their love to the most famous space opera saga. 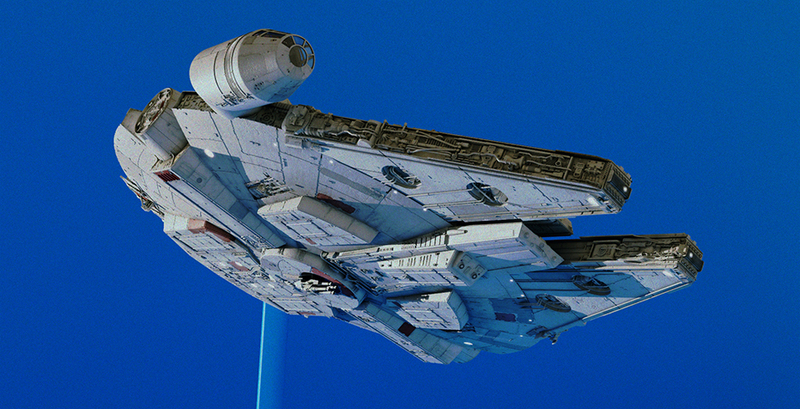 From 3D model to render, they use the power of LightWave creating incredible Star Wars tributes. Strap yourself in and board one of the most famous spaceships for an unforgettable experience. 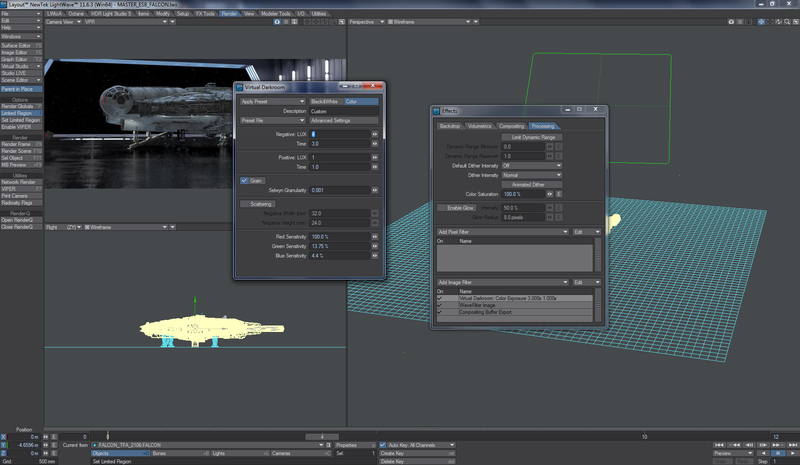 Hi Alain & Andrew, thank you for joining LightWave 3D for this interview! We saw your recent Star Wars Tributes and we really enjoyed your artwork! Can you tell us a little more about you, your background and the origins of these projects? Alain: I started 3D as a way to previs products in the mid 90’s. I was a graphic designer and many of our clients were looking for a way to see their products without having to get expensive prototypes produced manually. I purchase LighWave 5.6 since we were all using Mac at the time. To have a faster learning curve, I was spending my evenings and week-ends with LightWave and posting some of my work on the forums of the time. Soon after, I received my first call from Eden FX after having been referred by Lee Stringer and Matthew Christou. From there I started doing more and more professional work on shows like Alias, 24, Lost, Star Trek: Enterprise, Battlestar Galactica and many more. Andrew: I started out as a hobbyist in 1998 and mostly I still am, although I have produced art for some books and magazines along with commissioned 'one off' pieces. I actually won my first computer on a TV show here in the UK and I decided there and then that computer generated art was something I wanted to do. I always painted in traditional mediums and for me the transition to digital 3D art seemed the logical next step. Is it simply a desire to collaborate or do you have this common project in mind since a long time? Alain: Andrew and I met online quite a long time ago on a few forums we used to post our work on from time to time. My skills are more oriented with modeling and painting, so when I see an artist with incredible lighting skills like Andrew, you naturally want to see your models in the best light possible. Andrew: For me it was purely by chance that I saw one of Alain's models on an art forum we both used to frequent. Alain had seen some of my previous art and asked if I would like to render his model. From then, Alain has been kind enough to offer me all of his models and I have tried my best to produce some Art worthy of them. How did you work together to give birth to these beautiful images? Alain: At the start of December, with the new Star Wars movie in sight, we saw the first trailer and the millennium falcon naturally. As a big Star Wars fan, I decided to upgrade my old model and send it to a few certain friends to get images out again. Andrew: Alain worked on a Millennium Falcon model some years ago and I have produced art using that model. I honestly didn't think Alain would make an updated, better version but once again he produced a stunning model. Alain sent me the model with a standard scene setup. 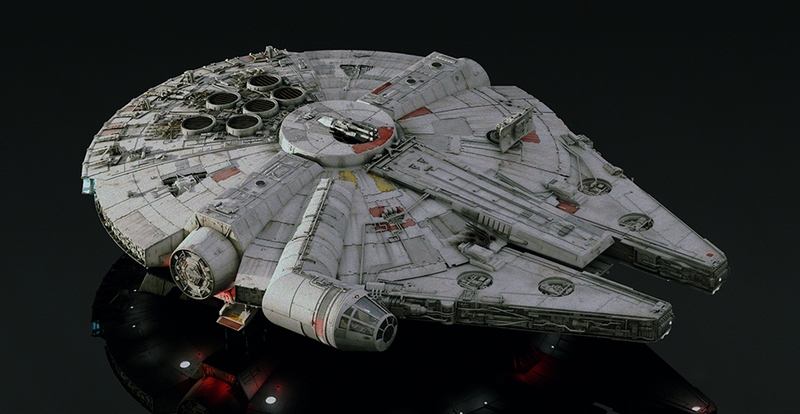 I looked at some recent reference images of The Force Awakens Falcon and asked Alain if I could add a few details to his model, which in reality was just a few pipes here and there, from there it was deciding on a composition that shows Alain's model at its most beautiful. Could you please talk about the modelisation process of the Millenium Falcon? How long it took? Alain: The model was done a little over 12 years ago. It was done quite fast even if it’s a big model. It was originally close to 2 million polygons. It has to be done in sections due to its size and then assembled in Layout. I would say it took about a month to make part time after work and on week-ends. The latest updates were started in early December. I redid all the surfacing which was really outdated and brand new UV were created. After doing new UVs, the high res texture maps were redone from scratch as well. 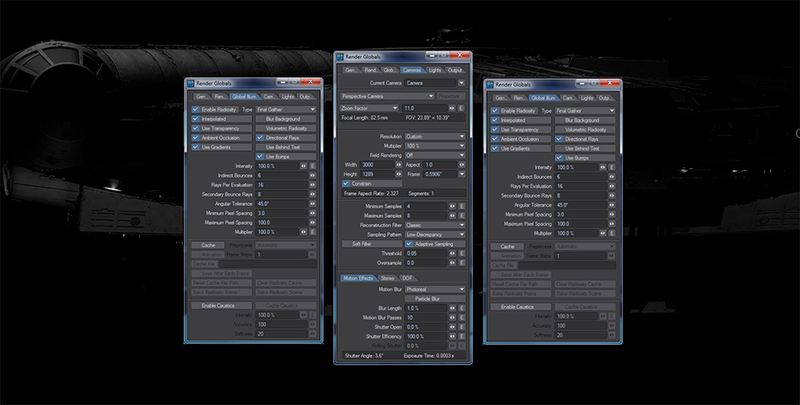 Doing the new texture maps was the most intensive work on the update, but with LightWave’s VPR view, the process was really interactive. Were there any unexpected challenges during the project? How LightWave 3D helps you to overcome these challenges? Alain: The main challenge with a “hero” model is always it’s size. 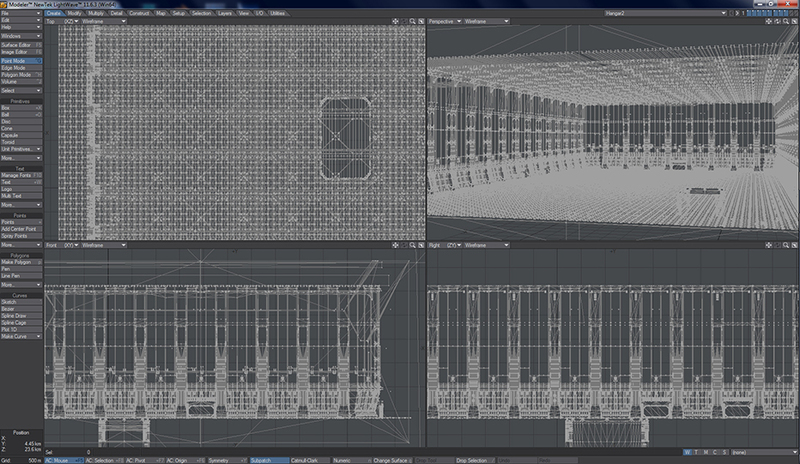 LightWave’s modeler has always been one of the best tool for high density mesh. Even with a model over 2 million polygons, going in modeler and tweaking or adding something is still easy. Are there any particular techniques / plugins or scripts that you used for these projects? Alain: The one tool that has been my main modeling tool is an external plug-in called VERTIBEVEL, it is the only thing I would add to LightWave’s modeler really. Andrew: There are a couple of plugins that I love at the moment, node image filter and the Virtual Darkroom, they allow me to add elements at point of render that i would otherwise have to spend extra time working on in post. Could you share more details about the rendering process? Did you used the LightWave native render of all these projects? Alain: For me personally, LightWave’s render engine is great and it’s really fast. I’ve never felt the need to use anything else. I love using Virtual Darkroom to get different look, having a degree in commercial photography in the 80’s the use of different film is something I always enjoyed and Virtual Darkroom is a great plug-in to simulate the different looks. 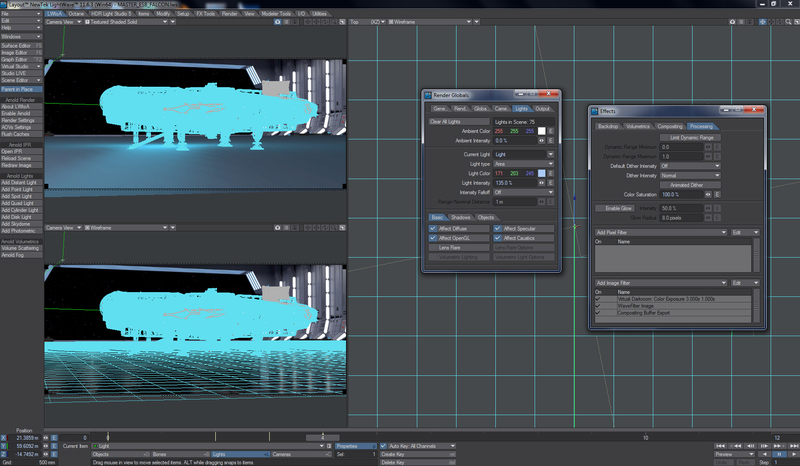 Andrew: All LightWave, I have never felt the need to use another render engine. For me it always has been and always will be LightWave's single strongest element. I worked with Paul 'Wiz' Johnson to convert one of his models from another format, I brought that model into LightWave, resurfaced it and created my backdrop using that model, then composited Alain's Falcon into the backdrop. Do you hope to accomplish any other common project in the future? Alain: Yes, I’ve already started to model the new First Order Special Force Tie-Fighter as a personal project and the new X-Wing will be next. Once done, I always send the models to a few friends to create their own images to share online. Andrew: Oh I certainly hope so, modeling has never been something I can do and lord knows I have tried and Alain's models are always fantastic. I'm not a model hoarder but I do rely on the generosity of modelers and I always do my best to pay them back by producing images they can be proud of. Do you have any tips to share with the LightWave community? Alain: Time... put in time. Like any skill, either been modeling, lighting, animating, skills are acquired with time. The more practice you have the better you get at your art. Take constructive criticism as a tool to improve your skills, ask questions and been part of a community like the one NewTek has, is a great way to share knowledge and tricks of the trade. Andrew: For me, lighting, color and composition are keys. Study light and color, don't just fill an image because you feel you need to and don't be afraid to increase lighting values above what you think are needed. As artists we are never happy with our work. Accept critique, it's not personal and every day try to learn something new. Does that sound pompous, LOL.